The inauguration of Robert Mugabe's government followed the announcement of Mugabe''s ''victory'' in the Zimbabwean election. The inauguration chart of the 6th term of Mugabe''s Presidency has Mars Saturn conjunction on the Midheaven trine Pluto clearly signifying an oppressive, military rule. So Mugabe's regime isn't going to budge easily. The Moon signifies the masses or the people and is placed in the 6th house of service, workers and employment. Moon is debilitated in the Navmansa chart. With such a weak and afflicted Moon there will be a strong emotion manifested in an explosive outburst of common people. 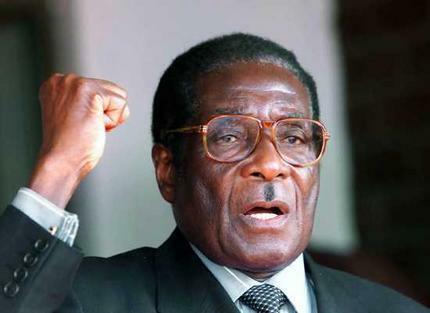 Venus in the 8th house with the Sun indicates the same deep rooted frustrations and problems for the ruler Mugabe. Uranus in the 4th house and 4th house Lord with Mars clearly suggests a great unrest in the country and violent demonstrations all over. There will be agreat deal of confusion, panic, depression and agitation in Zimbabwe in the coming days. Mugabe's chart looks upbeat from August to late November but afterwards the problems seem to start mounting. There will be severe confrontation and demonstrations between 17th November 2008 and 16th January 2009. November will be very crucial for Zimbabwe and challenges for Mugabe will grow. There will be immense devastation and confusion and Mugabe might try to cope with the situation brutally. In January and February 2009 there will be an internal game for power and a crisis is pointed for the Mugabe government. So it looks like crisis time for Zimbabwe and Mugabe. Although he showed determination in staying in power it will be a very painful time for him and for Zimbabwe as a nation.